Advanced Gauge Lighting Instructions, cont. 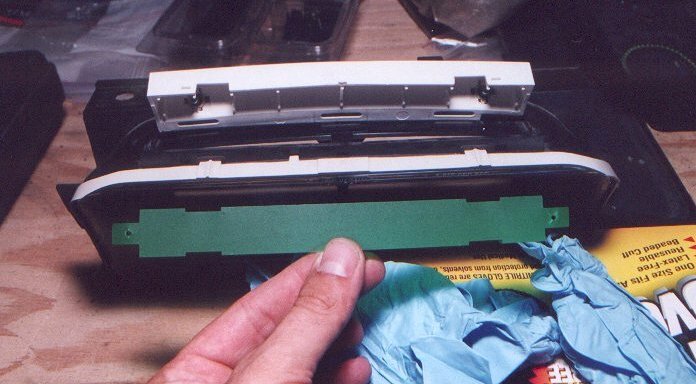 Carefully bend the light housing back enough to expose the green filter so you can remove it. If you will be installing the UV lamp then cut the power supply metal strips that hold the housing to the cluster. The filter easily comes out.